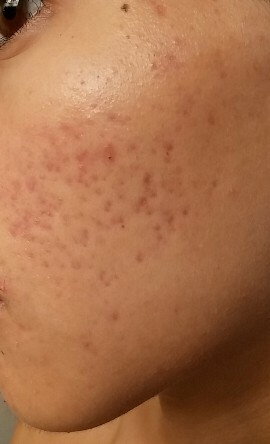 What is the best treatment for dark coloured acne scars in Singapore? i was told by my GP that lasers would work best. which one should i go for, how many treatments would i need, and how much would that cost me? thank you! The smooth dark spots left behind after acne clears up are usually PIH (post inflammatory hyperpigmentation) marks. If left alone, they typically fade slowly over months. Another way to speed up the process of lightening would be either to use topical lightening creams that contain hydroquinone or get Q-Switch ND yag laser treatments done. The laser will target the melanin thats causing the dark spots and break it down. Depending on how receptive your skin is to the laser, one may need anything between 3-6 sessions of laser. A session of Q-Switch ND Yag laser can cost between $200-$400+ depending on the clinic. For faster recovery, both the topical cream and laser can be used/done concurrently. For acne scars that are sunken/depressed or uneven, fractional lasers will help instead. Not the answer you're looking for? Browse other answers tagged Acne & Scars Aesthetic Medicine or ask your own question now FOR FREE.